A brief recap of Day 14 and apologies for posting a very short blog yesterday. My family arrived on the Line and I was enjoying catching up for the first time for two weeks. We left the Cheviot Hotel after a super Northumbrian breakfast – the first “full” on breakfast I could not finish. 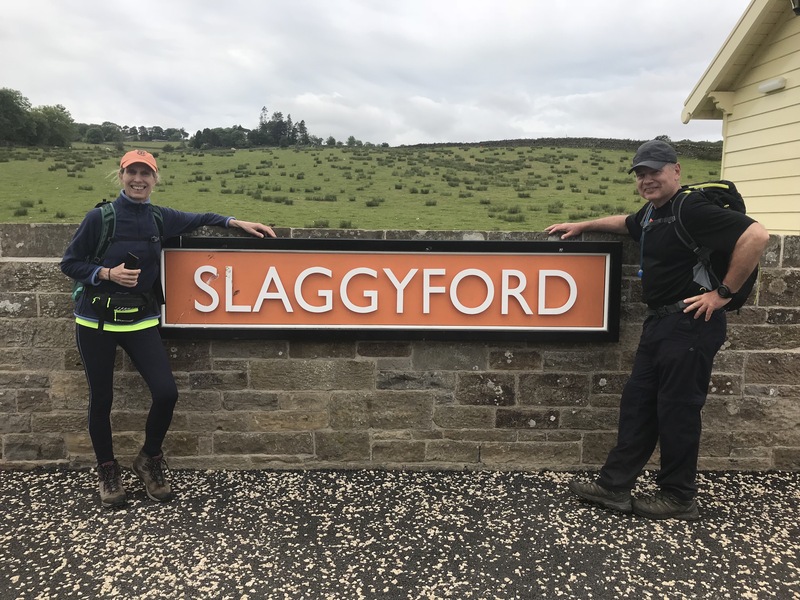 We were pleasantly surprised by Alan and his wife, from Bristol, who we had seen on the Pennine Way the day before, with a cash donation towards our fundraising. Thank you! It was a glorious day, with no clouds and beautiful sunshine. The Pennine Way took us over farmed moorland and into a forest. After 6 miles we got our first glimpse of Hadrian’s Wall – a smudge on the horizon. Another hour and we were climbing up to the wall to meet Karen who was again joining us on the Line. It is hard to describe the sheer scale of the Wall until you see it – a true feat of engineering from 2,000 years ago. 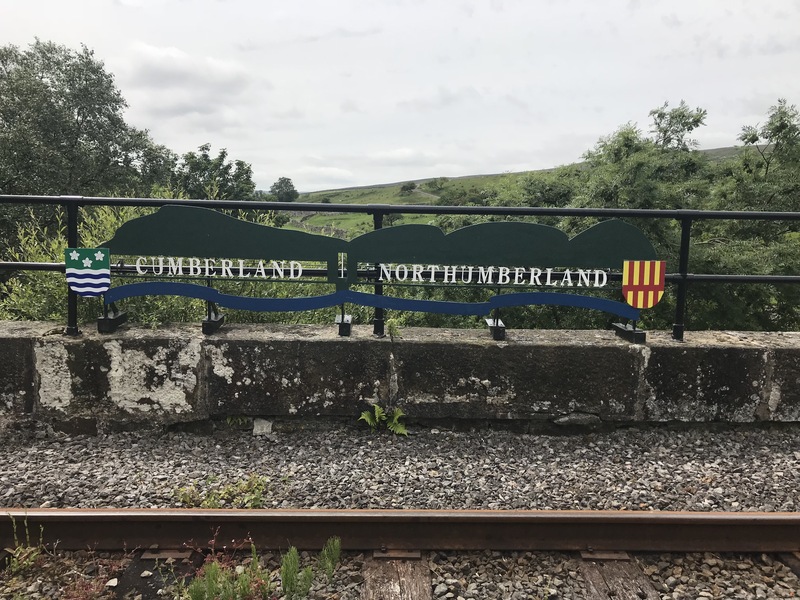 The rest of the day was spent on the Wall, including a meeting with the Northumberland branch of the Campaign to Protect Rural England. It was great to meet some real enthusiasts actively engaged in protecting our rural environment. 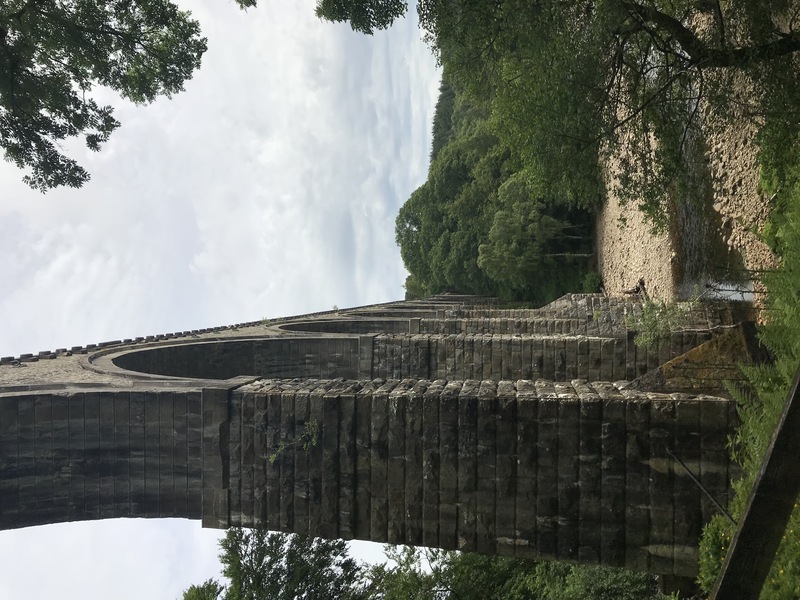 After a good breakfast at the Centre of Britain Hotel we left Haltwhistle with an estimated 19.1 miles to cover, mostly on the South Tyne Trail. 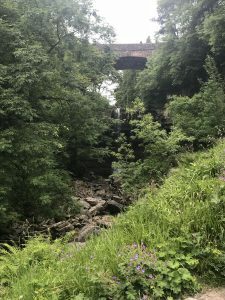 We were relieved to find, after a few days of walking up and down all day, to find that the trail followed, for the first 12 miles, an old railway cutting. 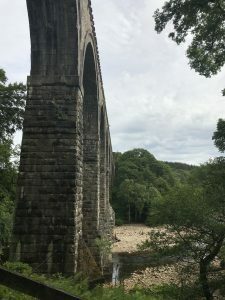 This involved crossing the awesome Lambley viaduct built in 1852 by the Newcastle & Carlisle Railway. The line was shut in 1976 so we were able to amble across with no risk of being hit by a train. A little later, at the wonderfully named Slaggyford, we wandered onto an actual railway track and then into a very well-kept station from which a steam train was departing. We stopped to talk to a volunteer (who nicely told us we were trespassing) and he explained that since 1983 volunteers had brought 4.5 miles of track back to life! It was great to see and a great example of the Great British Volunteer in action. A couple of miles down the line we stopped for a quick lunch break at an old coal loading stop called Lintley Halt where more volunteers were repairing and maintaining the line. 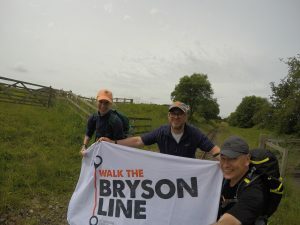 We continued to make great time and stopped for our daily flag picture at the halfway point (in mileage terms) of the Bryson Line! Soon after we crossed the county line into Cumberland and came to Alston, the end of the railway line. Our walk now returned to the Pennine Way and some familiar grassy paths littered with stones, crossing farmland and rivers. We have become experts at using the curious “ X” stiles that take one over the stone walls that are such a feature of the countryside here. The terrain was rough but thankfully we did not have too much climbing to do. 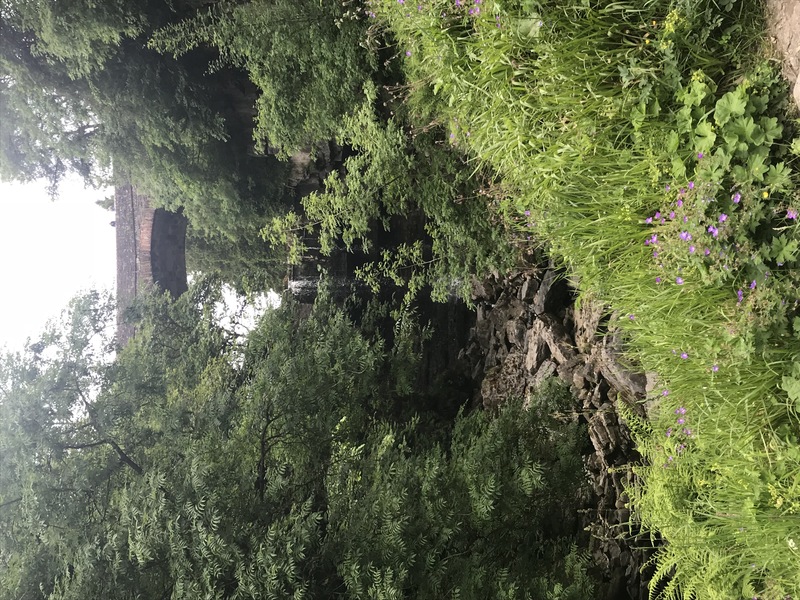 We ended our day at the beautiful Ashgill Force Waterfall,a hidden gem in the Cumbrian landscape.